*The shade - it's a pretty mauve-pink that doesn't seem too bright for my darker skin tone. *Lasts long - fades off over time but never completely goes off. *Does not dry lips out or pull/tug while filling in. So yes, this is a really good lip pencil! Am not sure about the pricing or availability of this particular product. I could not find it on the Shiseido site. I am not sure if it has been discontinued or if it is available only as samples. 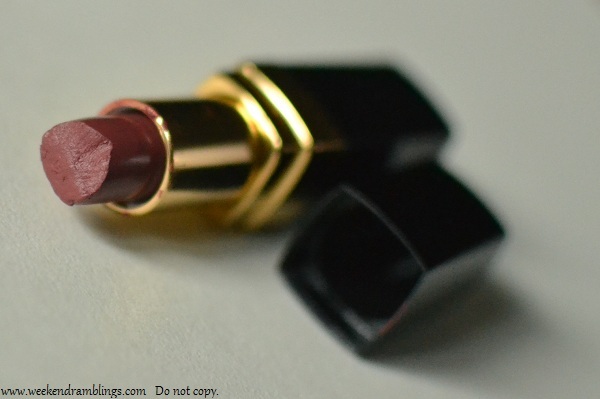 R - Lipliner topped with Chanal Praline lipgloss. Cleansing - Softener - Moisturize: that's how the Shiseido program works. Shiseido's Hydro-Balancing alcohol-free softener comes in a clearish plastic bottle with a pump mechanism for dispensing. The lid snaps in place. It doesn't leak if you don't leave it standing, but I don't think it would be absolutely leak-proof or spill-proof while traveling. Chanel Rouge Coco is everything a lipstick should be: Creamy, moisturizing, luxurious, and colours for just about every skin tone. Texture: Super creamy and moisturizing. Love the glossy finish - it's just the right amount of gloss and not the dripping wet kind! Colour intensity - Moderate coverage that can be built up. Staying power is about 3 hours. Doesn't last through eating/drinking. 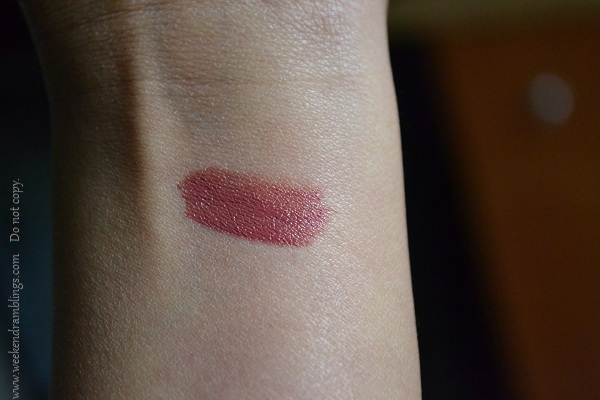 Faint fragrance, much lighter than some of the other lipsticks I have tried from Chanel. Chanel Venise is described as rosewood shade. Lush Colour Supplement is a multipurpose base that can be used as a concealer, foundation, or even thinned down to a tinted moisturizer. The customizable coverage is provided by thinning out the product, either by applying a smaller quantity or by mixing it in with a moisturizer to thin out the pigmentation. 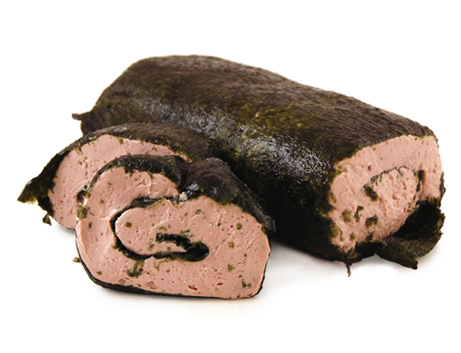 The product has a creamy consistency and is packed in small glass jars. You can use clean fingers or a clean spatula to pick up product. These colour supplements are available in 4 shades - dark yellow, light yellow, dark pink, and light pink - and because the coverage/pigmentation of the product can be adjusted, these basic colors are supposed to work across a variety of skin tones. 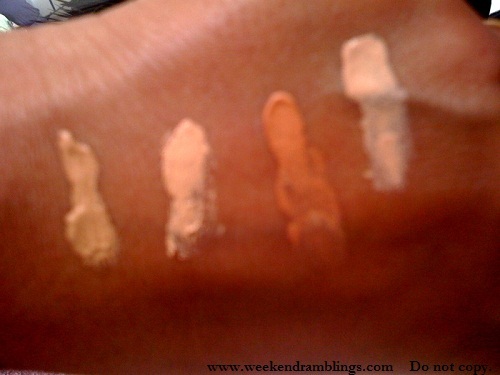 I have read people complaining about this limited shade choice - some have had to blend two shades to get their match. For me, both the dark and the light yellow colour supplement seemed quite similar and matched my skin tone when I tried it in the store. I picked the dark yellow colour supplement choosing to go for a darker colour rather than risk an ashy look with a lighter colour. My swatches below are quite blurred - I took in store with a barely functional phone camera - but you can get an idea about the color range, I hope. L to R: Dark yellow, light yellow, dark pink, light pink. Here's what worked for me with Lush Colour Supplements. I got the perfect shade matching without any problem. Since the product is so concentrated and would benefit with a bit of sheering down, I do believe one or the other shade would match most people's skin tones. The Lush Colour Supplements are creamy and feel like I am applying my moisturizer. They blend easily into the skin, just like a cream, but because there are no silicones in it, there is no velvety smooth feel to the skin. Travel-friendly jar packaging. The jar, once the cap is securely screwed on, will not leak and is quite nonmessy, unless decide to open it upside down or something! It's also quite a small, compact jar so it is easy to travel with. Since the product is so concentrated, a little bit goes a long way. A few dots are sufficient to provide medium coverage. Suitable for vegans: I am a vegetarian (only because I happen to find vegetarian food tastier), not a vegan, so this is really not a deciding factor for me. I do respect and appreciate the fact that there are people out there who are so passionate about this. What I didn't like about the Lush Colour Supplements: Per Lush, you can use this as a foundation, a tinted moisturizer, and a concealer. I tried out all three ways. The Lush Colour Supplements did not work as an effective foundation, tinted moisturizer, or a concealer, in my personal experience. While it did provide coverage when applied initially, it made my skin very oily, and whatever coverage it provided disappeared in the subsequent oily mess. I do have oily-combination skin type, and based on my experience, I am guessing this might be a better pick for those with less oily skin. Also, probably because there are no silicones in it, the product doesn't feel like it's gliding on to skin like velvet, and if you have any dry patches of skin it tends to latch on to that. Lush Colour Supplements - Ingredients (Dark Yellow): Fresh Rose Petal infusion (Rosa damascena), Soya oil (Glycine soja), Titanium dioxide, Rice Bran oil (Oryza sativa), Stearic Acid, Gycerine, Triethenolamine, Colour 77492, Cetearyl Alcohol, Colour 77499, Colour 77491, methylparaben, propylparaben. I have had a lot of problem with pimples since I was in college, and it just kept getting worse each year. By the time I was done with college, the pimples were so bad, I don't think I had any normal skin on my cheeks! My granny (!) found out from someone else about using topical antibiotics and that's what finally got rid of the acne epidemic on my face. The scars from that time are still there on my face, so you can just imagine how bad it was. I still am very acne prone, and it's very rarely that I have absolutely pimple-free skin. And don't even get me started on the time-of-the-month pimples. 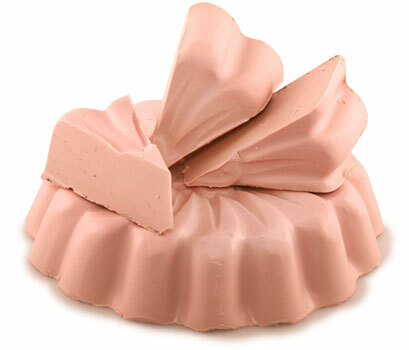 The Lush Fresh Farmacy cleanser is a calamine-based soap for sensitive skin. Though Lush recommends Coal Face for oily skin, I found Fresh Farmacy more effective. I have tried Coal Face a few times, and I found this one better. Fresh Farmacy is also among some of the more affordably priced Lush products - expensive for a soap, but it lasts a while if you don't leave it in water. 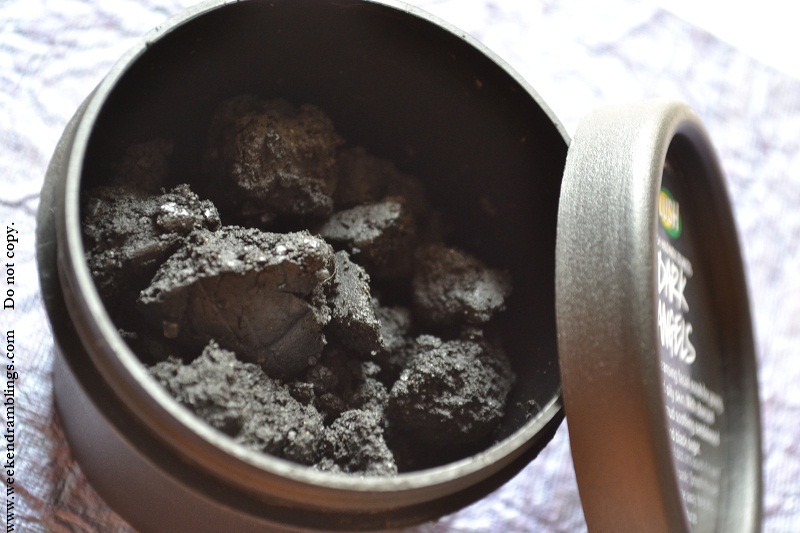 Lush Dark Angels (review here) is a Rhassoul mud and black sugar based cleanser. I use this more like a scrub after using my regular soap to clean my face. Make a thin paste with a pea-sized amount of Dark Angels and smear it over my face. Leave it on as a mask for maybe 1-2 minutes before washing it off - scrub while washing off. Amazing at absorbing oils from your skin. Lush Aqua Marina Facial Cleanser is a calamine and seaweed-based cleanser. I use it the same way I use the Lush Dark Angels Cleanser. Make a thin paste with the cleanser, leave it on the face for about a minute. Wash off. I find it does a good job at absorbing oils and calming down any redness from my face. 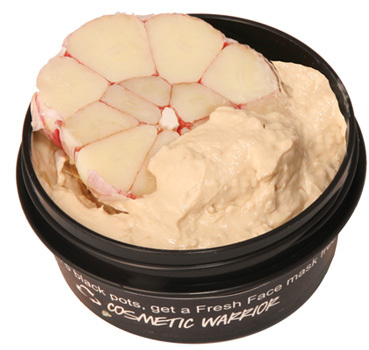 Lush Cosmetic Warrior Fresh Face Mask is a tea-tree and garlic-based mask. The smell might seem offensive to many people, but I never found it unbearable. This is my favorite mask, the go-to/must-have if you have oily, acne-prone skin or pesky persistent pimples. It takes a few times use to start working, but I noticed a definite improvement in my skin with regular use of this mask. 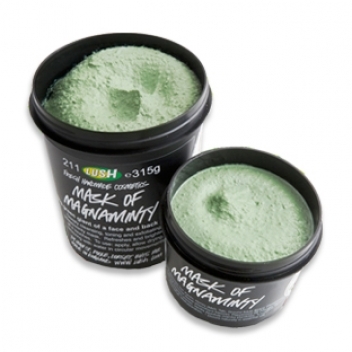 Lush Mask of Magnaminty is one of their most popular masks. I find it quite a gentle, basic mask. It does a good job at absorbing excess oils from my skin without leaving it dry. The scrubby beans bits in the mask make it a little difficult to spread but are great for providing a gentle scrub. The Magnaminty Mask provides a minty cooling sensation to the skin and helps feel refreshed. The Clinique 3-step program (review here) is a fool-proof acne solution. Buy it, use it, and bye bye acne. It is expensive but works. Shiseido Pureness Mattifying Oil-Free Moisturizer (review HERE) - Mattifies but does not dry, the Shiseido Pureness Matifying Oil-free moisturizer is the perfect moisturizer for oily skins, during the summer or if you stay in a place with high humidity. 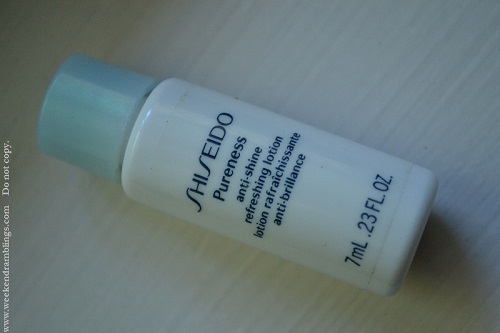 Shiseido Pureness Mattifying Lotion: I have only tried a sample size of the Shiseido Pureness Matifying Lotion. It is a very runny watery white liquid. From my experience, this lotion is meant for the truly oily skinned category. Olay Daily Facials 2-in-1 Cleansing Cloths (review here) are my absolute favorite EVER. I would beg, borrow, steal..anything to get my hands on this. From what I know, its available in UK/Canada, US, and I think Australia. Definitely not available in China. Olay Dual Action Cleanser and Pore Scrub (review HERE) is a creamy cleanser with really fine scrub granules. It's gentle enough to be used once a day and cleans the skin off any oil while giving it a gentle polish. This is Colour Supplements - I got Dark Yellow. Comes in a small glass jar..and from what I tried of it, it spreads easily enough. Meant to be used mixed with moisturizer as a tint or straight for more coverage. Check my review on the Lush Colour Supplements here.